Our Menu’s are available in a wide variety of sizes (DL 4pp (198x210mm), DL 6pp, A6 4pp, A6 6pp, A5 4pp, A5 landscape 4pp, A5 6pp, A4 4pp, 1/3 A3 6pp, 1/3 A5 6pp, 210x210mm 4pp, 148x148mm 4pp, a4 Slim 4pp (210x297mm) and are printed double sided on 350gsm Silk. 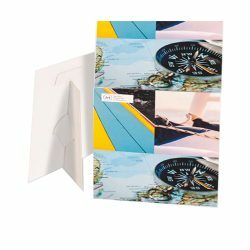 For customers wanting longevity out of their print, we recommend a lamination with a Matt, Gloss or Soft-Touch effect for added protection from spillages. 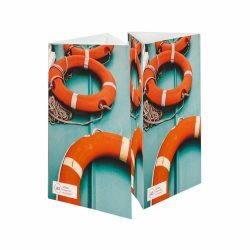 Our table talkers are available in three different sizes, DL, A6 & 1/3 A3 with a creased fold. Printed single-sided on 350gsm Silk and supplied flat and taped ready for assembly. Table talkers are perfect for bars, restaurants and cafes that want to advertise specials or promotions to a captive audience while they await their order. They can also be laminated with a Gloss, Matt or Soft-touch effect to protect them from spillages. Lamination also means your can wipe them clean and re-use them again.